YouTube TV isn't quite what it used to be—and users aren't happy. YouTube TV has one of the most generous DVRs of all the streaming TV bundles, storing unlimited programs for up to nine months at no extra charge beyond the $40-per-month bundle price. But it also comes with a unique trade-off: If the recorded program becomes available through video on demand, users are required to watch the on-demand version, unskippable commercial breaks and all. While YouTube TV’s policy hasn’t changed since the service launched in April 2017, users have become more keenly aware of it over the past week. On Twitter and in forums such as Reddit, an outcry has been building as users discover that their DVR access isn’t quite what it used to be, and that on-demand video with ads have become much more pervasive. While it’s unclear exactly what has changed—and YouTube’s PR reps have ignored multiple requests for comment this week—I do have a few theories, along with one potential workaround. In speaking to folks who claim that YouTube TV’s DVR policies have changed, a common refrain is that video on demand (VOD) episodes used to take a week or longer to arrive on the service after their original air dates. If users wanted to catch up on a program a day or two after it aired, they could almost always watch the DVR version and skip the ads. Now, users say those VOD programs are popping up at a faster rate—sometimes even the day after they air on TV. This would explain why so many people are suddenly noticing a policy that YouTube has implemented from day one. As for why on-demand video is arriving sooner than it used to, that’s anybody’s guess. But next-day availability isn’t exactly a new concept for streaming video. Network programs on Hulu, for instance, have operated this way for years. To compound the problem, YouTube TV recently expanded its on-demand catalog, particularly from CBS, Cord Cutters News reports. Given that CBS is the most-watched network on television, the influx of on-demand video could certainly have caused more users to notice YouTube TV’s DVR restrictions, even if it’s just one of the more than 50 channels YouTube TV offers. Those users are now encountering error messages that say the network has “restricted access to this recording,” and that users should choose “another version of this airing instead.” For subscribers who’ve only signed up in the past couple weeks, this could be the first time they’ve run into any DVR limitations and become fully aware of YouTube TV’s policies. For everyone else, it’s clear that their optimism about being able to avoid VOD was misplaced. That’s not to say the selection tool is worthless. 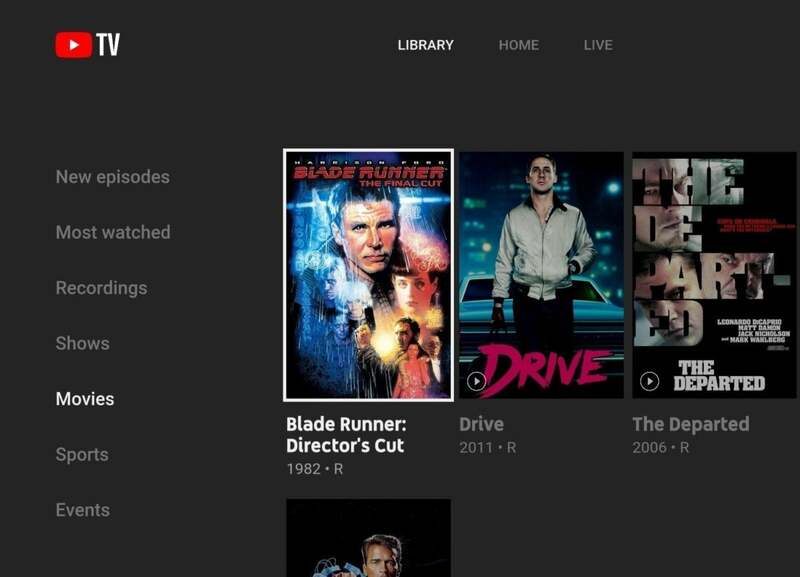 YouTube TV’s support reps have been telling customers that some networks are allowing users to choose between DVR and VOD versions. Still, there’s no way for users to tell which networks are restricting this feature without learning the hard way. 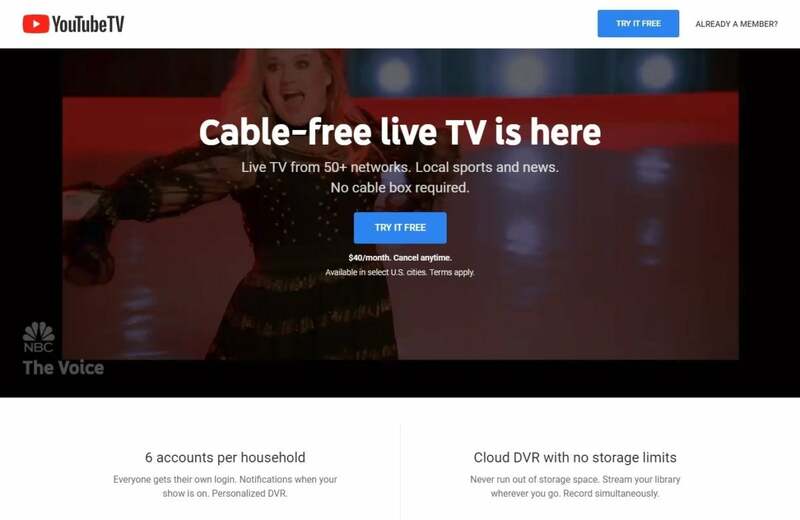 YouTube TV’s website claims DVR without storage limits, but hides its ad-skipping restrictions far down the page in fine print. Sling TV charges $5-per-month extra for DVR service, which doesn’t work with ESPN or Disney channels. PlayStation Vue and Philo don’t set limits on recording time, but they delete recordings after 28 days and 30 days respectively. Another option would be to sign up for ad-free on-demand plans from Hulu ($12 per month) and CBS All Access ($10 per month), though these would only cover shows from ABC, CBS, NBC, and Fox. As the Wall Street Journal reported when YouTube TV launched one year ago, mandatory VOD was a concession that parent company Google had to make to otherwise build the streaming TV service it wanted. Now that YouTube TV has made mandatory on-demand video more prominent, it’s no surprise that users are feeling blindsided.